After school programs can be a vital part of a child’s life. 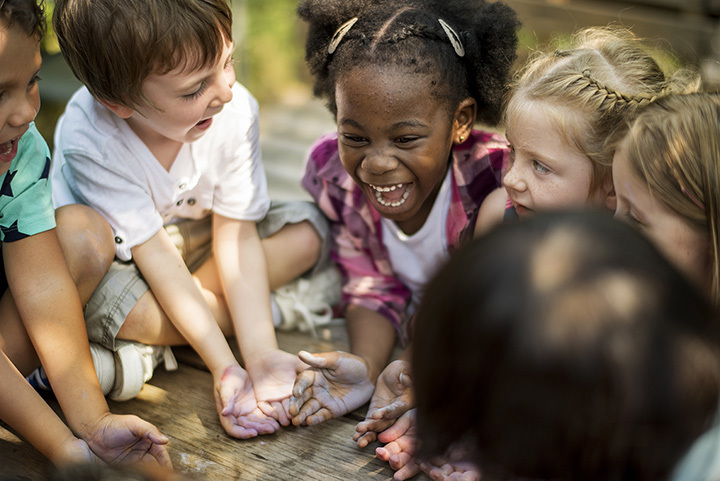 Whether it’s classes that focus on art projects and creativity, programs that encourage physical activity, or after-school care centered around peer counseling, these programs can make a child’s in-school experience an even more positive one. Here are the 10 best after-school programs in Michigan. The City of East Lansing has a complete program devoted to after school operations, known simply enough as the Before & After School Care program. The after school version of this program boasts a range of activities geared toward the K-5 market, offering active play, arts and crafts, and even homework help for the older children. Outside play is a part of each day's activity set, so for those involved, be sure to dress accordingly. Found in Ann Arbor and Ypsilanti, Michigan Makers is a program geared toward the older younger set, around grades five to seven or so. A program that focuses on technology through hands-on operations, while also offering a range of group work exposure and peer counseling. The program offers plenty of areas a young scientist would have a passion for, including game design, programming, and prototyping, among others. The City of Detroit runs an after school program so complex that it runs through much of the summer. Twelve separate schools are set to become “After School Fun Centers,” boasting not only indoor and outdoor activities, games, a free meal, and homework time to round out the roster. Kalamazoo is home to the STREET program, a program that's geared toward addressing at-risk teenagers in a bid toward keeping them off the program's namesake. Running from Monday to Friday, from 3:30 to 7:30 p.m.—the times when kids are most likely to not have a parent around—it offers a quarterly assessment, life skills training, a family support program, complete transportation and a sit-down dinner as a group. Battle Creek's Harper Creek school system recently started up an after school program, and has been running it for the last three years now at last report. Geared toward the kindergarten to fourth grade set, the programs run at both Beadle Lake Elementary and Sonoma Elementary. Originally began in response to the potential closing of a church's day care operations, the Battle Creek program offers several exciting activities as well as a meal through the school's food-service program. Grand Rapids Public Schools offers the LOOP program, geared toward elementary and middle school students. Home to a wide range of activities from the traditional like everyday homework help—from certified teachers as well—to the unique like field trips and activities in both arts and culture, the program even goes so far as to offer transport home for those kids who are in the program at least three days a week. Recently celebrating its 20th anniversary, Muskegon's Pathfinders program offers children a safe place to go after school hours, whether they be immediately after school or in the summertime. It briefly shut down after a loss of state funding, but the kids involved in the program at the time got together to raise funds, demonstrating the importance of keeping the program alive. With themed events like March Madness and a range of other options, it's easy to see why the kids were sufficiently devoted to the program to raise funds on its behalf. Part of Hope College's operations around Holland, the Children's After School Achievement (CASA) program has been running for the last 30 years. Focused mainly on enhancing education, the program focuses on after-school tutoring and individualized summer school operations. The end result is a better-educated student who doesn't stop at the last bell, but rather learns to carry on even after hours. Flint offers up the YouthQuest program, which offers up both summary and tagline at once with “Excel. Excite. Explore.” Geared toward the entire continuum of public school students—K-12 are all welcome here—it seeks to expand on the school day by taking what's learned therein and augmenting it with several work-ready behaviors. Kids learn teamwork, critical thinking, problem solving skills and even how to make the best, healthiest decisions for the long run. Dinner and a snack is included—with support from area grocers and restaurants—and there's even physical fitness training as well. Originally started by a karate instructor, the Troy After School program in Troy represents the end result of parents requesting such a program be brought to the Troy area. With a simple $65 a week fee, the program offers homework assistance, snacks after school, supervised activities, and perhaps unsurprisingly, a martial arts instruction program to give the kids access to not only improved physical fitness but also self-defense.